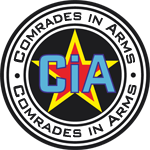 Want to join Comrades in Arms coop nights? Welcome to the new CiA website! New design for webpages and forums done by Kenwort. Feel free to provide feedback and bug reports on this thread.